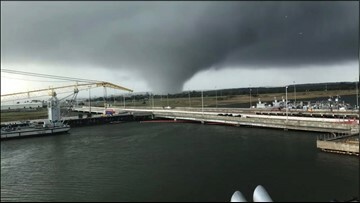 Photo sent by a viewer of the tornado that touched at Kings Bay Naval Submarine Base. 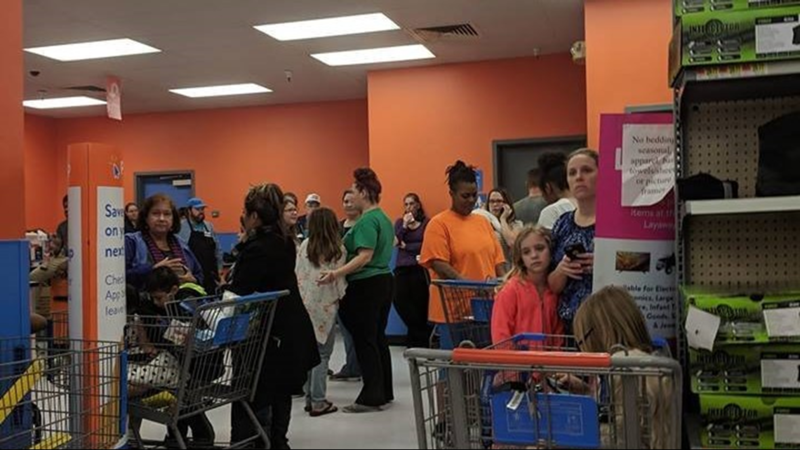 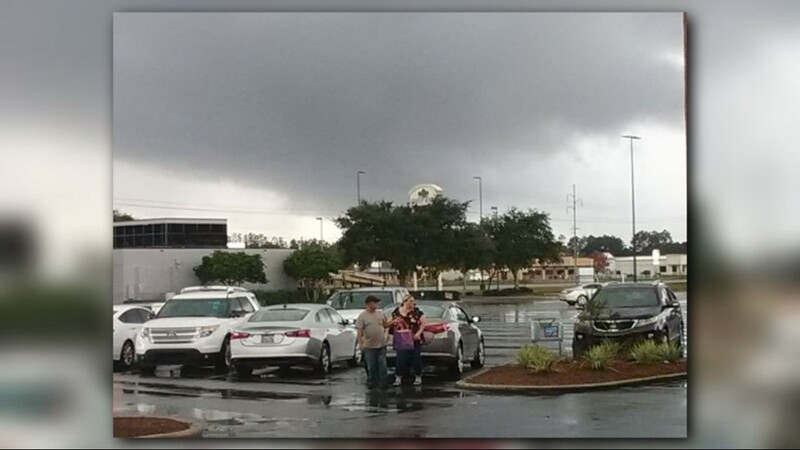 Photo of tornado at Kingsland grocery store sent by viewer Eric Williams. 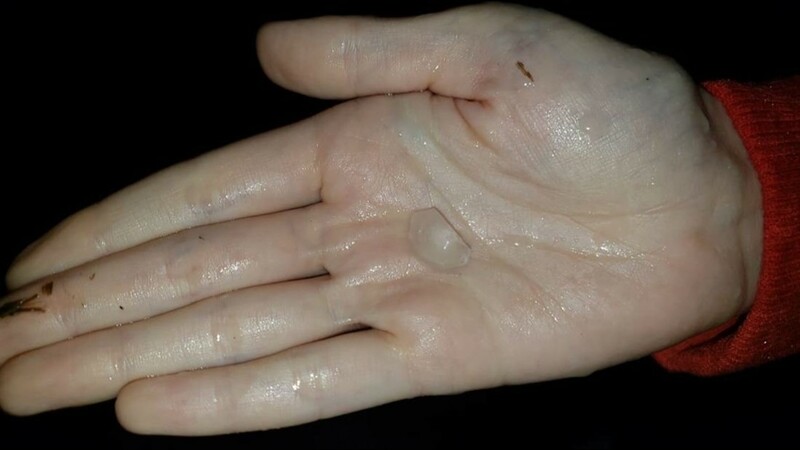 Quarter or slightly larger sized hail picture sent by viewer Shelby Bryant in Camden County. 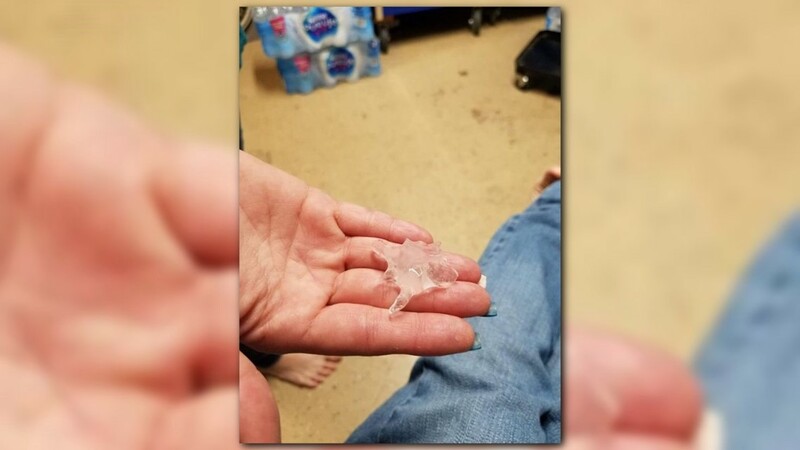 Picture of pea-size hail in St. Marys sent by viewer Jennifer C. Douglas.